Pope Francis plans to visit the Greek island of Lesbos in mid-April to highlight the dramatic plight of thousands of refugees and show solidarity with them, according to reliable sources in Greece and Rome. The dates being suggested are April 14 or 15. He will be welcomed there by the Ecumenical Patriarch, Bartholomew I, and by the Archbishop of Athens, Hieronymus II. Greece’s President Prokopis Pavlopoulos and Prime Minister Alexis Tsipras will also be there to greet him. He is making this dramatic gesture to send a powerful message to the international community—and particularly to countries in Europe—to respond with greater generosity and humanity to the hundreds of thousands of desperate people fleeing from war, terror and dire poverty. 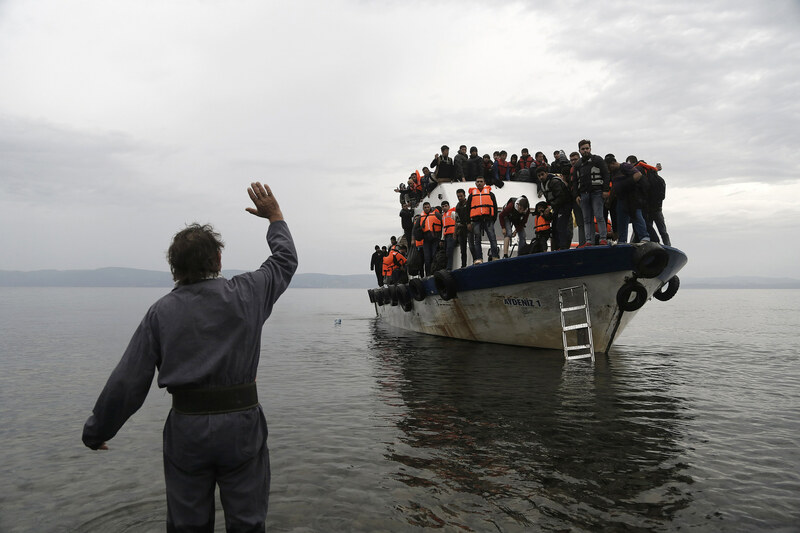 The pope sent his proposal to the religious authorities in Greece, and the Holy Synod of the Greek Orthodox Church welcomed it and suggested that he visit the island of Lesbos where hundreds of thousands of refugees have arrived by boat over the past year, very many of them fleeing the conflict in Syria but also some from other countries including Iraq, Libya, Afghanistan and Pakistan. The Ecumenical Patriarch, Bartholomew I, the “first among equals” in the leadership of the Orthodox Church worldwide, warmly accepted the pope’s proposal and will accompany him on this highly significant journey. Francis has expressed his admiration and praise for the way Greece, in particular, but also other front-line states, have embraced wave after wave of refugees and migrants that continue even today to arrive on their shores. Today, however, Greece is in dire difficulty with this tide of refugees, particularly since most other countries of the European Union are refusing to accept them or drastically limiting the number they will allow in to their homelands. Right now Greece, with the assistance of European security forces, has started to forcibly send the refugees back to Turkey from where they boarded boats to reach the Greek islands. This repatriation is the result of an accord reached between the European Union—whose countries want to drastically limit the number of refugees and migrants that enter their lands—and Turkey. Human rights organizations and many humanitarian associations have raised serious questions as whether Europe is fully respecting international humanitarian standards by such draconian action, particularly since it is not clear what will happen to these unfortunate people when they arrive back in Turkey. Pope Francis clearly feels very strongly about what is happening in Greece, and has decided to go into the eye of the storm to express his closeness and solidarity with those suffering people, a great many of whom are women and children, and to awaken the conscience of Europe and the world to the tragedy is happening there. It will be remembered that soon after becoming pope, Francis visited the island of Lampedusa to weep for the some 20,000 refugees that have died over the past decade in the Mediterranean and to arouse the conscience of people everywhere to the plight of the some 50 million refugees and displaced people in the world today. His day visit to Greece is along the same lines but comes at an even more dramatic moment in time.